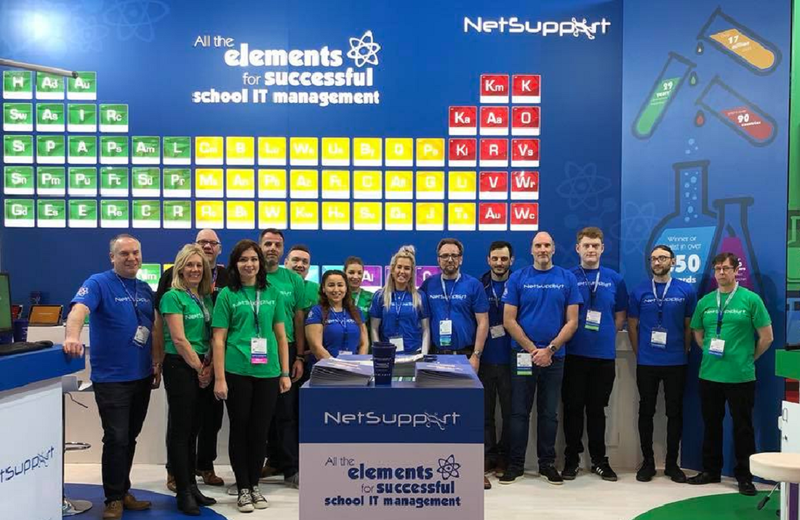 The next few months continue to be a busy time for NetSupport as we exhibit at a range of events and conferences worldwide in April and May. In the UK, you can visit us and see the latest product updates at Leeds Digital Festival 2018. We will be exhibiting at the ‘Using EdTech in the Classroom’ event on 18th April, where, after a series of guest speakers have shared their insights at the evening event, teachers will be able to have a hands-on experience and try out a range of technology. We will be also be part of the ICT for Education national conference programme at Wetherby Racecourse on 27th April. Drawing on both regional and national ICT expertise, ICT for Education has sourced a great line-up of speakers who will address ICT challenges faced by both teachers and schools. Across the pond, NetSupport Inc will exhibit at Interop ITX in Las Vegas (1st-3rdMay) where the IT community can learn about technologies and solutions outside of their current IT ecosystems. Following on from this, the team will also be exhibiting at BrainStorm in Ohio (6th-8th May). The goal of the BrainStorm Conference is for K20 techs to network with their counterparts and connect with technology vendors who cater to the K20 community. For more information about our upcoming events, click here.